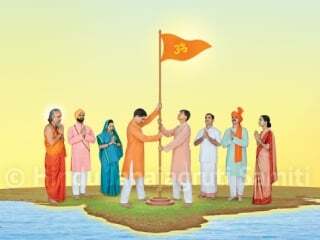 Home > News > ‘Hindu Rashtra-jagruti Sabha’ held at Dadarbedi (Pen) ! 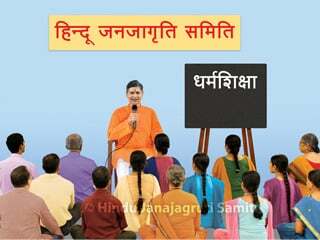 ‘Hindu Rashtra-jagruti Sabha’ held at Dadarbedi (Pen) ! 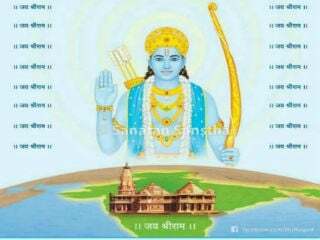 Pen (Dist. 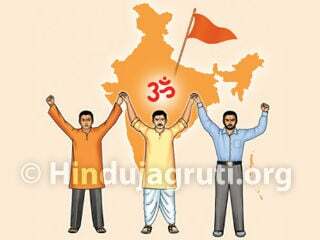 Raigad) : Hindu Janajagruti Samiti (HJS) held ‘one-speaker’ ‘Hindu Rashtra-jagruti Sabha (sabha)’ at Santoshwadi, Dadarbedi village. Sou. 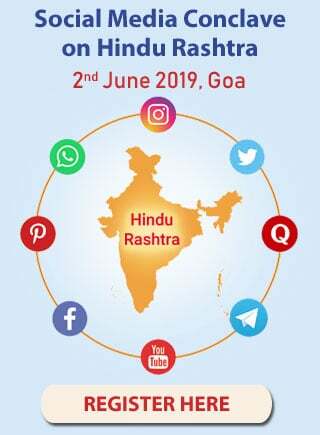 Mohini Mandhare of HJS spoke on the topic of ‘Need for ‘Dharmashikshan’, attacks on nation and Dharma and Hindu unification’. 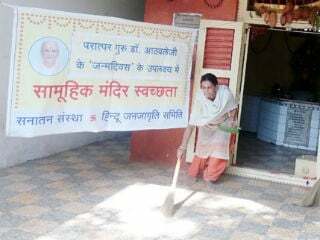 She also created awareness towards need for Hindu Rashtra. 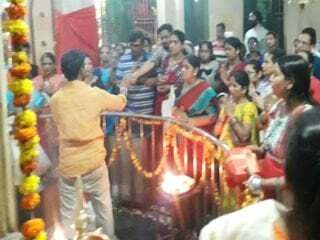 The ‘sabha’ was attended by 85 devout Hindus. Special assistance : Shri. Santosh Naik, Shri. Ramsh Naik and Shri. Rohidas Naik extended help for organizing this ‘sabha’.